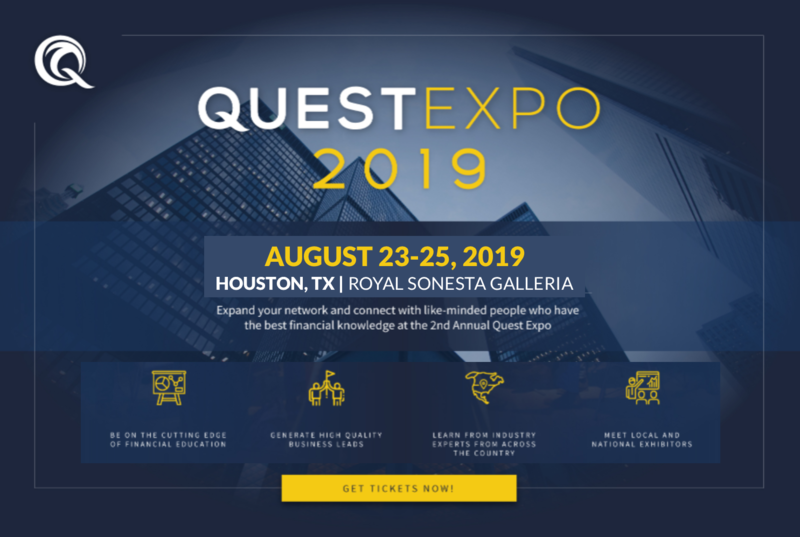 Meet Real Estate Gurus, vendors and investors from across the nation at our second annual Quest EXPO! Register today to secure your spot and get ready for an exciting weekend of learning and fun! 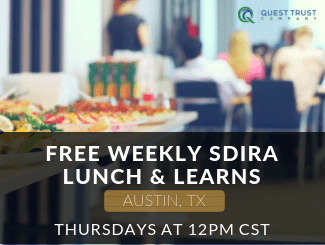 Join us as Quest Trust Company offers you a FREE weekly educational and networking opportunities every Thursday at 12:00 PM! Quest Trust Company’s Dallas monthly mixer is held on the fourth Wednesday of every month. Each mixer features a different guest speaker, free education and the opportunity to network with other investors. Quest Trust Company’s Austin monthly mixer is held on the fourth Tuesday of every month. Each mixer features a different guest speaker, free education and the opportunity to network with other investors. Quest Trust Company’s Houston monthly mixer is held on the second Tuesday of every month. 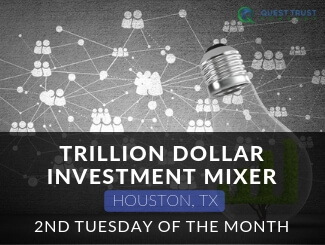 Each mixer features a different guest speaker, free education and the opportunity to network with other investors. 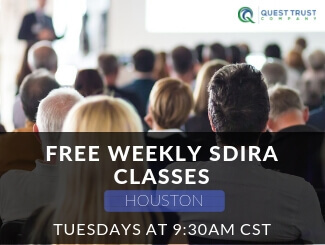 Join us as Quest Trust Company offers you a FREE weekly educational and networking opportunity every Tuesday at 9:30 AM! Join us for our FREE monthly lunch & learn’s in Dallas, TX! Our educational topics vary from “Investing with 10k or less” to “Private Money Lending”. These events are held TWICE a month, you won’t want to miss out on some great lunch, education, and networking! When you get into a room with all the 500 like-minded investors they’ll hop you up your game all the way around. So you’ve got to get out of your comfort zone, get onto a plane if you need to and get to the next Quest Expo. You’ve got to come if you’re new, you need education and contacts, network. If you’re experienced; it’s the funding, it’s the money, it’s the deal flow. All of those things you’re going to find at the Quest Expo. Great time to come and connect with high-quality like-minded people who are actually doing deals and investing with their self-directed retirement accounts. Quest Trust Company makes the process of buying private assets with your self-directed IRA, smooth and painless. Take a look at these common investment options and the process by which to fund them.